Continually provide information and expertise to empower African American civil servants to: actively partner with local community and national resources (churches, sororities, fraternities, civic organizations, social clubs, civil rights organizations, labor unions, and homeless and veteran representatives), and other like-minded organizations; increase US citizens political education, awareness, voter registration and participation voting in local, state and federal elections. Educate people in the importance of voting. Energizing our youth, college students and young adult voters. Working with a variety of coalitions to address the issue of voting. 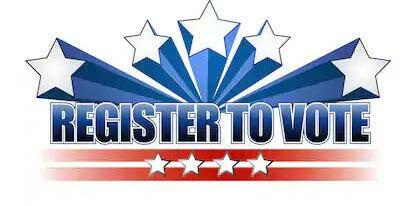 Increase voter registration drives and voter education efforts. Inform voters on the relevant issues that affect government employees. Use media tools to help get the vote out. Results from and Benefits of participating in redistricting and reapportionment plans. Educating our seniors on absentee ballot casting. Observing poll importance and exit polling education agenda. Participate in pre-election education and phone banking opportunities. Assess the value of implementing a BIG voter hot-line. The committee will be comprised of volunteer representatives from various Regions. The Chair of this Special Committee (Honorable Toni Pearson) was appointed by the BIG National President and approved by the BIG National Executive Committee. The Vice Chair will be selected by the committee members. Duties and responsibilities of this committee are to successfully implement the aforementioned program areas.